URGENT: 11th hour. 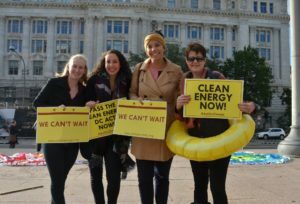 Clean Energy DC set to pass. But we need your help. I’m here today to give you some good news… and some deeply alarming news. 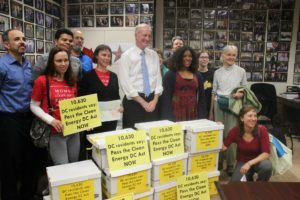 The good news is this: After years of mobilizing this campaign, the DC Council is geared to pass “Clean Energy DC Act” before Christmas! The bill was passed out unanimously out of two Council committees this morning, and will soon go to the full Council for a vote. That means DC will soon become a national leader on climate policy. Yes!!! Now here’s the bad: At the very last minute, the Chicago-based utility Exelon — which owns Pepco — snuck in an amendment that would undercut the efficiency measures in the bill, and boost its coffers at the expense of DC ratepayers. The full DC Council is voting on the Clean Energy DC Act for the first time on Tuesday, November 27, so every single Councilmember needs to hear from YOU. Please send a message to your Councilmember today asking them to REMOVE Pepco’s awful efficiency amendments and PASS a Clean Energy DC Act that is strong and fair. The Clean Energy DC Act would move the city toward 100 percent clean electricity by 2032, create groundbreaking energy efficiency standards, raise money to weatherize low-income homes, provide major incentives for electric cars, and much more. After months of deliberating, the bill reflects our campaign’s hard-won principles of strong, economy-wide emission reductions with a focus on equity. But Pepco’s end-run amendments could cause direct harm to ratepayers. It would allow the utility to recoup the costs of energy efficiency investments in the form of increased electricity bills, and it would allow the utility to recover revenue lost from those efficiency improvements. As Councilmember Charles Allen said in the Committee of Environment and Transportation meeting today, it allows Pepco to charge ratepayers twice for the same investments. The last-minute amendments would also give the utility total monopoly control over how efficiency investments are made, undercutting the longstanding decisions DC has made to support independent-run efficiency programs instead. 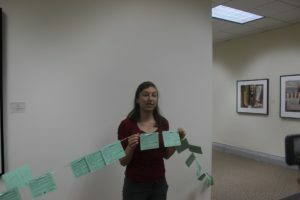 Why resist monopoly-run efficiency programs? Because the company running it — Pepco — is in the business of selling electricity, so the company has an incentive to sell as much as possible—not conserve. It’s a direct conflict of interest. The Clean and Affordable Energy Act of 2008 created the Sustainable Energy Utility for just this reason. The SEU is an independent administration that administers DC’s current efficiency programs, allowing for a competitive bidding process to undertake efficiency work. Pepco’s amendments would take entire customer base away from SEU. Meanwhile, the simple fact that they introduced these amendments at the 11th hour is cause for great concern. The proposed changes have received no analysis or public comment. In its testimony before the Committees, Pepco did not discuss this issue at all. This 11th-hour effort has the apparent goal of avoiding the public scrutiny the rest of this bill has received. 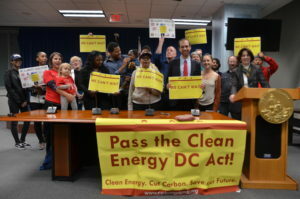 Hundreds of supporters of the Clean Energy DC Act have testified in over 20 hours of public hearings, made hundreds of calls, and sent in thousands of letters. NOW is the time to take this incredibly valuable bill across the finish line. Send a message to your DC Councilmembers today. Tell them to PASS the Clean Energy DC Act and REPEAL Exelon’s deceitful amendments. The climate can’t wait, and neither can we. Even with the amendments, the Clean Energy DC Act will cut DC emissions up to 50 percent by 2032. After three hard-fought years of progress uniting more than 110 organizations, businesses, and neighborhood groups, it is time to pass strong and equitable climate and clean energy policy right here in DC. The “Clean Energy DC Act” gains momentum with a huge turn out at city council hearing after the shocking United Nations report on the environment. Just after the Senate confirmed an anti-environment majority to the Supreme Court, the United Nations released a new report that says we have a mere ten years to cut the rate of global carbon emissions in half. Gut punch. 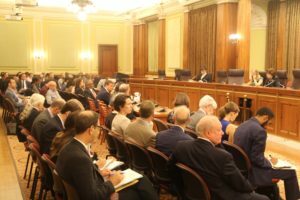 So Tuesday’s incredible hearing for the “Clean Energy DC Act” could not have come at a better time, and despite all the turmoil, it was an AMAZING day. 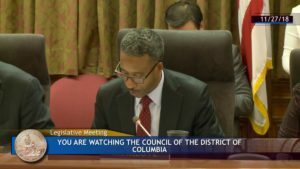 And here’s the even better news: Councilmember Kenyan McDuffie has scheduled the next hearing in his committee on Business and Economic Development! 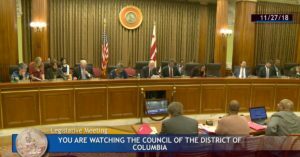 Please join me in thanking Councilmember McDuffie for scheduling a hearing to advance the Clean Energy DC Act through his committee. Politicians get a lot of heat for inaction on climate — let’s be sure to thank them when they do the right thing! The room was packed at Tuesday’s hearing. 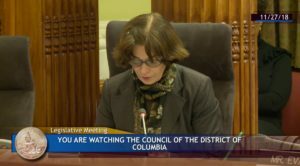 About 90 people signed up to testify in Councilmember Cheh’s Committee on Transportation and the Environment — and nearly all of them testified in strong support. Experts testified that 100% clean electricity by 2032 is not only possible, but that the target date should be moved up to 2026. Advocates praised the groundbreaking proposed energy efficiency standards for existing buildings, which are the largest source of local pollution, as well as new funding for the Green Bank and Sustainable Energy Utility. There’s nothing like seven straight hours of climate calls to action to leave a gal feeling hopeful and empowered again! At Councilmember McDuffie’s hearing on the Clean Energy DC Act, we’ll need to turn out in even bigger numbers, with even more persuasive stories on why it’s time the District stepped up to the climate challenge. But for now, please send Councilmember McDuffie a message of thanks for scheduling a hearing on this critical bill! The hearing is scheduled for October 29 at 10:00 am, so mark your calendars (and you’ll be hearing more from us on that soon). In the meantime, we encourage you to submit written testimony in support of the Clean Energy DC Act to the committee staff, Ms. Benjamin, at abenjamin@dccouncil.us. Written testimony will be accepted until October 23rd. Reply to this email for talking points or any questions about how to submit testimony! See you soon, friends, and thank you for all your hard work on this campaign of hope. This fall, we plan to act with incredible force and focus here in the nation’s capital, by mastering the details of Councilmember Mary Cheh’s recently introduced Clean Energy DC Act. The DC Council reconvenes in September, just over one month away. 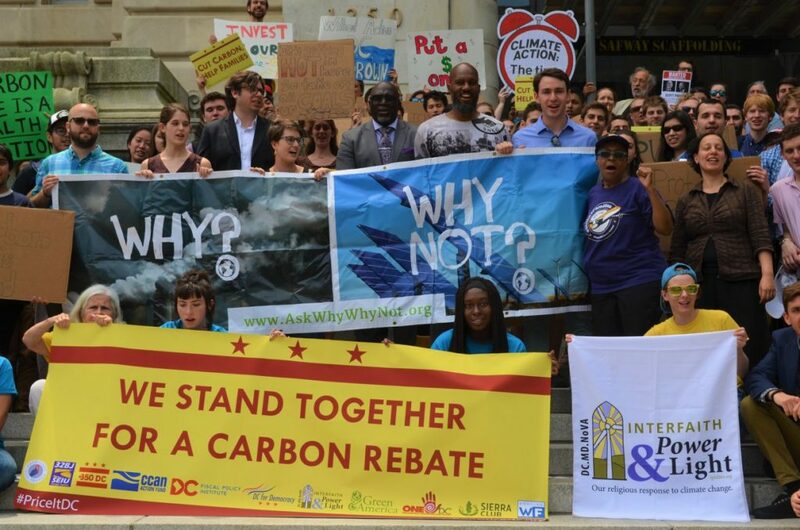 We need to push a strong and equitable Clean Energy DC Act across the finish line before the session ends this year! That will take all of us, passionate and determined as ever to save the places and people we love. There’s a lot of new details in this bill, and a lot to learn — and now YOU have a chance to get up to speed. 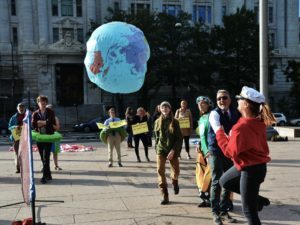 Last week, key organizers for this campaign held a webinar explaining everything you need to know about DC’s new climate bill. Watch, then email Camila if you have any questions!